Stars from three constellations in the northern hemisphere form an imaginary triangle – the Summer Triangle, which is an asterism. The constellations Aquila, Cygnus, and Lyra contain the stars Altair, Deneb, and Vega. Together these stars create a nightly picture of a triangle in space. 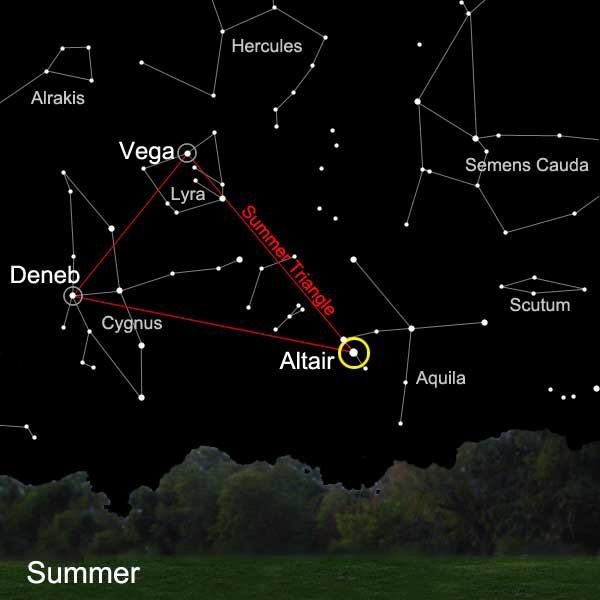 As you would expect, given its name, the Summer Triangle predominates the sky during the summer season. However, the constellations of the summer triangle can be seen for at least a portion of the night at any time during the year (in mid-northern latitudes). 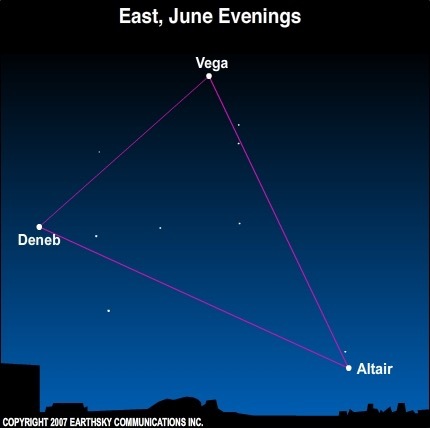 This asterism is a large triangle formed by the three first-magnitude stars Altair, Deneb, and Vega. It is best seen during northern summer and autumn evenings. Meaning: From Arabic: “The Eagle”. 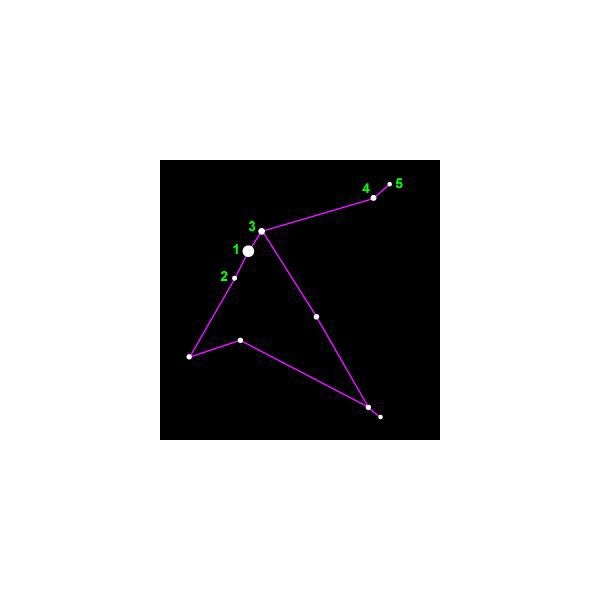 Altair is easily recognized, because it is situated on either side along a straight line by two stars, Alshain and Tarazed (Beta and Gamma Aquilae). It is also one of the nearest bright stars and it has an exceptional rotation rate. Using Doppler shift measurements, it rotates more than three times on its axis in one of our days, as compared to one rotation in 25 days for our Sun.